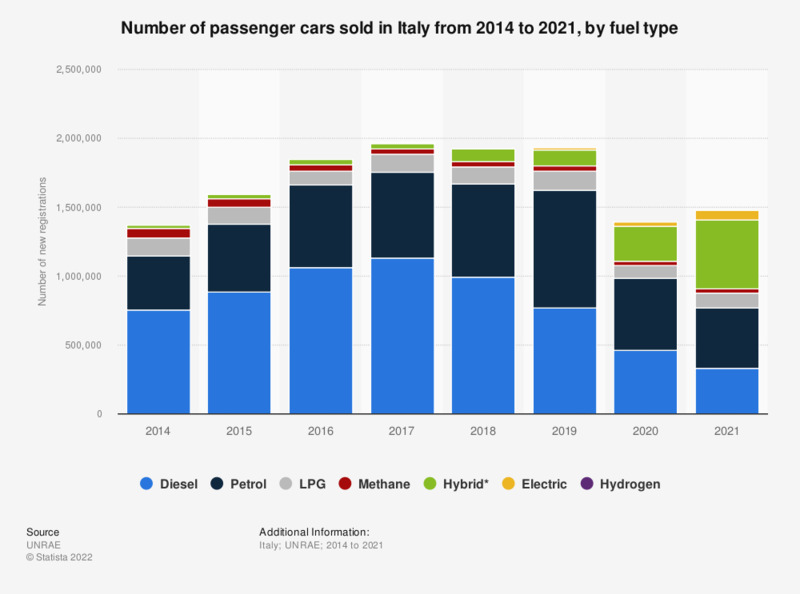 This statistic displays the number of new passenger car registrations in Italy in 2014 and 2017, by fuel type. Over the period of consideration, Diesel fuelled cars had the strongest year-on-year growth passing from 755,115 units sold in 2014 to 1.1 million units sold in 2017. A similar rise in registration figures is observable in Petrol and Hybrid cars.